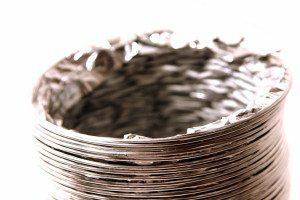 If you haven’t done a thorough dryer vent cleaning in a while, it’s high time. It’s important to keep your dryer lint-free for many reasons, not the least of which are safety and cost savings. The process is fairly simple, requiring only a little time and some basic supplies. 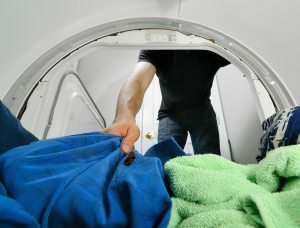 If you don’t feel comfortable undertaking this project as a DIY endeavor, an appliance repair technician can help get your dryer in tip-top shape and ready to take on the summer’s volume of dirty laundry. The most important reason for keeping your dryer’s vent and lint collection system clean is safety. Each year, families around the country experience devastating house fires that ignite from dryer lint buildup. In fact, the National Fire Prevention Association reports that from 2006 to 2010, an average of 15,520 house fires occurred each year that were directly related to clothes dryers, resulting in 29 deaths and $192 million in property damage. When lint builds up, air flow becomes restricted. As a result, exhaust backs up and combusts, resulting in fire. Even if a fire doesn’t break out, the dryer’s operation becomes compromised, using more energy and increasing wear and tear on the dryer’s mechanical components. Clothes are exposed to higher heat for longer periods, wearing them out much more quickly. One of the most helpful tools you can have around the house is a long, flexible brush designed to clean refrigerator coils and dryer vents. Although some only have bristles at the end, the best ones have bristles that run the length of the brush. To remove the vent hose, you may need a screwdriver or other household tools to loosen the vent cover and the hose clamp. A full-size or hand-held vacuum cleaner or shop vac with a crevice tool is a must-have, but you can also easily fabricate an effective dryer-cleaning device with a length of rubber tubing inserted into the vacuum wand (attach the tube with a rubber glove with a small hole in it to maintain vacuum pressure). If your dryer vents up through the roof, you can purchase a tool at the hardware store that resembles a loofah sponge on a long pole that is designed for this purpose. Unplug the dryer and pull it out from the wall, to allow easy access to the back. Start inside by removing the lint screen and vacuum it thoroughly. Insert the vacuum extension or rubber tube in and remove as much lint as possible, then run the brush down several times. Pull the dryer out and disconnect the vent. Vacuum inside the vent and inside the dryer opening. Go outside and remove the vent louver and vacuum as far in as possible. Replace the hose and push the dryer back into place. Check the hose for wear or holes and replace as necessary, but at least every two years. To ensure a complete cleaning, contact Complete Appliance Repair in Salt Lake City. Their trained professionals can take your dryer apart and give it a more thorough cleaning than you can accomplish yourself, then inspect the machine for safety and proper operation. Regular maintenance service by a professional technician is the most effective way to ensure your family’s safety and the safe operation of your dryer. Don’t take chances. 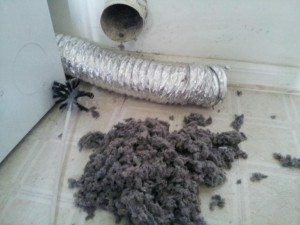 Make sure your dryer vent cleaning is done regularly. This entry was posted in Blog and tagged Dryer Maintenance, Dryer vent cleaning on August 6, 2015 by admin. It seems everyone is debating the merits of dryer sheets versus dryer balls. Appliance-repair experts aren’t too keen on liquid fabric softener used in the wash cycle, so these are the remaining logical choices for softening your laundry. The keys to the debate, however, are the other benefits that come from these fabric softener choices. Read on for a quick comparison of fabric-softener sheets and dryer balls and decide for yourself. The most persuasive powers of commercial dryer sheets are their ability to reduce or eliminate static electricity in your clothes and to leave a pleasant, fresh scent. They do a great job of softening clothes and linens of course, but that’s a given. They are easy to use and they are multitaskers, doing duty as dusters, bug repellants, shoe fresheners, garbage-can deodorizers and as a way to keep thread tangle-free. Disadvantages include their disposable nature and use of chemicals, making them less than environmentally friendly. They can also be a bit pricier than their longer-lasting competitors. Dryer balls are made of all types of materials. Rubber balls with nubbins, wool balls and even balls made of aluminum foil are popular. Some consumers use regular tennis or racquet balls in the dryer. What these strange little tools do exceptionally well is soften and fluff your laundry. They last a long time, so they are cost-effective while not adding to the landfill. They don’t typically emit toxic chemicals and they won’t slow down the drying process by coating your clothes. Consumers report, however, that dryer balls are largely ineffective at fighting static electricity and they don’t leave behind a fresh scent. The Internet is rife with DIY suggestions for making your own dryer balls. Some users have had good luck making foil balls, claiming that these actually combat static cling. But others report the foil snags delicate clothing. One blogger swears by using tennis and foil balls together, reporting that the foil spheres soften with use, eliminating the risk of snags. However, they also lose their ability to reduce static with use as well. Try adding a drop or two of essential oil (lavender, jasmine and lemon are user favorites) to a handkerchief and adding it to the dryer for a fresh and lovely scent. No matter what type of fabric softener you use, you’ll never get good laundry results if your washer and dryer aren’t in tip-top shape. Well-maintained laundry machines improve your results significantly and save you money on energy bills. 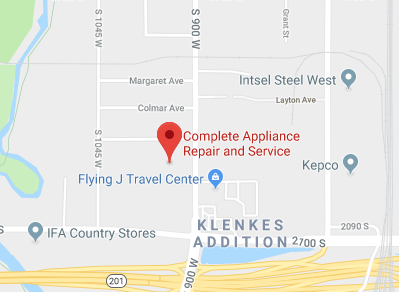 Contact Complete Appliance Repair, serving Salt Lake City and the surrounding communities, for all your appliance repair and service needs. They may not help with the dryer-sheets-versus-dryer-balls debate, but they’ll keep your home appliances going strong. This entry was posted in Blog and tagged Dryer Maintenance, Dryer Sheets versus Balls, Dryer tips on December 16, 2014 by admin. The obvious benefit of more efficient clothes drying is the cost savings, but there are other advantages as well. Minimizing the time you run your dryer will extend the life of both your clothing and of the appliance itself. Effective clothes-washing products and techniques will help improve your drying results too, as will taking a few simple precautions. Read on for tips and tricks for better laundry results. 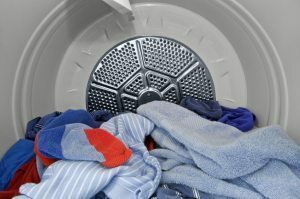 Many common drying problems actually start in the washing machine. Laundry detergent’s major strength is to help break down skin oils and other greasy substances in and on fabrics; however detergent does less for cleaning clothes than water and agitation cycles do. Most people overuse laundry soap, making it difficult to rinse it out. Insufficient rinsing leads to clothes that take longer to dry and that attract dirt more when dry. For today’s high-efficiency (HE) washing machines, HE detergent is required because it is easier to rinse away. Cut the amount of detergent you use by half for best results, or try pod-type or HE soap (even if your machine is not rated for it). If you have a particularly dirty load and feel the need to use more soap, run the load through a secondary rinse cycle. Choose a detergent formula without fabric softener or scent, both of which are harder to rinse out. Although it may seem like a fairly intuitive process, there are right ways and wrong ways to dry clothes. Even if your laundry machines are rated for large capacity, it’s usually more efficient (in time and cost) to run smaller loads. Small loads get cleaner in the washer and dry more quickly. Launder fabrics based not only on color groups but also on thickness. Heavy fabrics will prevent lighter ones from getting as clean or drying as quickly as they would otherwise. Once you’ve run a dryer load, the machine will have a build-up of heat. Run multiple loads one after the other to take advantage of this. Be obsessive about cleaning your lint filters and keeping obstructions away from your dryer vent outlet. Lint build-up and vent obstructions drastically reduce the machine’s ability to do its job, and also increase the odds of a fire. Finally, experts believe that most consumers over-dry their clothing and household linens. Try an abbreviated cycle and you may be surprised to find your items are dry much sooner than you expect. If you’re doing everything right but still experiencing disappointing results, the problem may be the equipment rather than the technique. Old equipment uses more energy to operate and does a much less effective job than modern, high-efficiency models. If your home has gas service, today’s gas dryers are highly cost effective and as kind to your clothes as electric dryers. If a new machine isn’t in the budget this year, you can greatly improve the efficiency of your existing dryer by having a professional maintenance service performed. A technician can remove built-up lint from the internal exhaust system, calibrate the thermostat and timer, replace seals and maintain other critical components. Best of all, regular dryer maintenance will catch most major problems before they become critical. In the Salt Lake City area, Complete Appliance Repair is your expert in dryer service, repair and replacement. Call today and ask Complete Appliance Repair for their professional advice on more efficient clothes-drying techniques. This entry was posted in Blog and tagged Dryer Maintenance, Dryer tips, Efficient Clothes Drying on December 9, 2014 by admin. Chances are your grandmother dried clothes and other laundry by hanging them out on the line. In the modern world, we have the amazing invention of the clothes dryer. 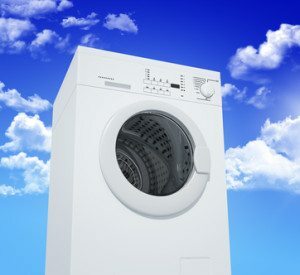 Whether you have an electric clothes dryer or a gas model, you can keep your machine working perfectly and avoid dryer repairs by performing just a few simple maintenance tasks. The accumulation of lint can restrict airflow in your dryer. Lint build-up can rapidly heat up, and fire can be the dangerous result. Clean the lint filter after every dryer cycle. Use your vacuum’s crevice tool regularly to clean under the filter. Purchase a long-handled vent brush at the hardware store and use it to pull accumulated lint up, where you can vacuum it away. This maintenance will save energy and reduce dryer cycle time as well. Replace your lint filter immediately if it becomes worn or damaged. Vinyl dryer vent tubes (the white kind) do not meet current safety standards and are no longer safe for use in the home. Replace your dryer vent tube with the aluminum type (silver) immediately if you still have a vinyl one. Once a year, remove your vent tube and replace it or thoroughly clean it, pushing lint to the outside. Check the vent cap regularly (typically outside the house), and clean it with a vacuum followed by an all-purpose household cleaner. Follow the instructions listed above for your gas dryer but, because a gas dryer typically runs hotter than an electric model, be especially diligent about keeping your machine lint-free. Contact a professional dryer repair service for annual maintenance service. Using your clothes dryer properly will extend its life significantly. Ensure that dryer loads are run at the lowest practical temperature for the briefest period necessary to dry the clothes. (This will help both the dryer and your clothes last longer.) Don’t overload your dryer; your manual can provide you with the specifications. Finally, consider a switch from dryer sheets to liquid fabric softener as this will result in less build up and quite possibly softer clothes. If you take care of your dryer, it will take care of you. Should you find yourself in need of a clothes dryer repair or a new dryer, contact your local appliance sales and repair service to determine the best course of action. An appliance repair professional can also perform periodic maintenance on your dryer, repairing or replacing parts for your model that requires attention. This entry was posted in Blog and tagged Clothes Dryer Maintenance, Clothes Dryer Tips, Dryer Maintenance on May 20, 2014 by admin.